As of July 2015, at least 124 Americans have been killed in auto accidents that occurred in General Motors vehicles with faulty ignition switches. In addition, some 266 others sustained injuries. These statistics don't even count those who might not know their vehicles had defective car parts. The experienced product liability lawyers at Phillips Law Group are dedicated to defending the rights of the injured against large, negligent manufacturers. If you were injured by a faulty product, we can help. Call or text 1-800-706-3000 for a free consultation. Following the initial discovery of the fault, numerous victims joined a class-action lawsuit against GM in search of restitution. Unfortunately, many encountered technical stumbling blocks and problems that made it harder to pursue justice. 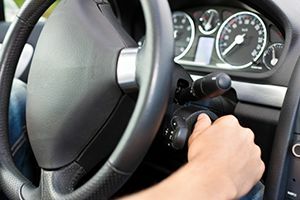 While some of the faulty switches were found in vehicles dating back to 2005 or earlier, the automaker's bankruptcy filing in 2009 gave it legal immunity from being sued for earlier accidents. GM eventually attempted to rectify the switch defect, but their recall efforts were too late to save those who already suffered. Further exacerbating the situation, the compensation fund set up by the company last year to compensate victims was only designed to cover around 2.59 million GM vehicles that had a specific type of ignition-switch flaw. GM actively fought not to compensate other victims who experienced accidents in an additional 10 million recalled vehicles known to have similar issues. Those who sustained severe injuries due to defective car parts are often forced to fight for legal compensation. Victims should consult with experienced product liability lawyers in Phoenix to protect their rights and facilitate healthy recoveries. Being injured in an auto accident can put your life on hold for years while you recover, pay for medical care, attempt to deal with lost wages or try to come to terms with the death of a loved one. Discover your best options for pursuing justice by calling or texting a personal injury lawyer in Phoenix from the Phillips Law Group at 1-800-706-3000 or completing a free case evaluation form.